Solpanelen is a company that started in 2010 with a focus on planning, design, sales and installation of solar power plants. 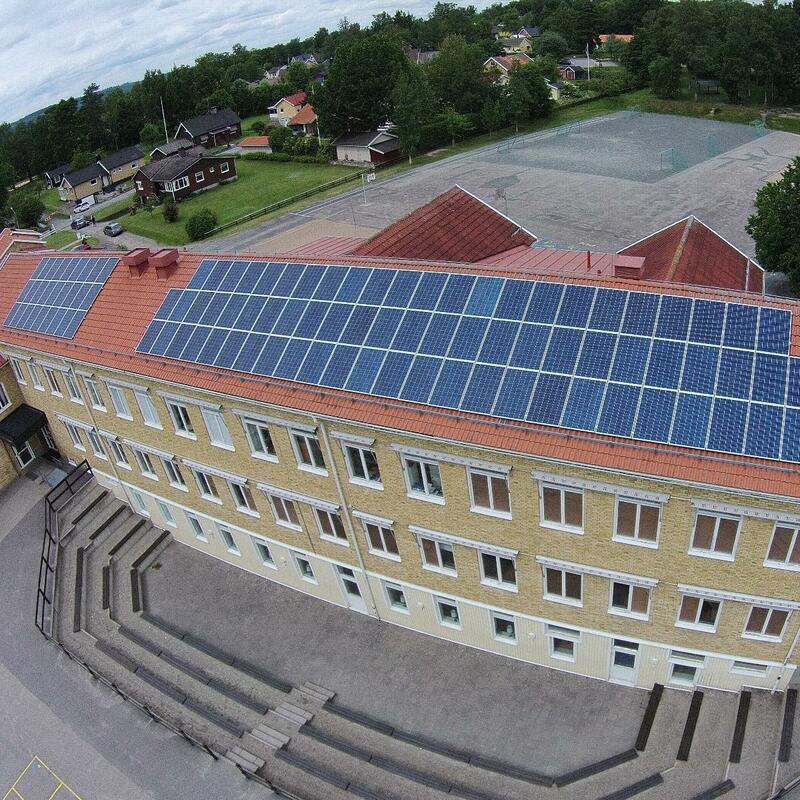 The founder, Bernth Nyberg, likes energy issues in general and solar energy in particular. Solar energy is a subject which he holds both lectures as well as education in. The company is growing fast and delivers to both companies, municipalities and individuals. Something that is very important to the company is to create satisfied customers that recommends their products to others. 85 % of all small businesses get their customers in this way which is called mouth-to-mouth method. We have asked Bernth why customer testimonials are so important and how aajoda helps them to harness the power of visual recommendations. When it was time to put in more testimonials on the website we were forced to book a time with our web design agency, which in turn was the one who were to publish them on or website. To get the testimonial description in place I had to work after a text box where I had to fill in what I wanted. I could not directly publish to social media, but had to share a link afterwards. The step to get a trustworthy customer review was also problematical because we didn’t succeed in getting it in a uniform, gathered and verified way on our website and in social media. We are happy with our web design agency, but it was a twofold problem with every testimonial upload that costed us both time and money, due to the many steps. Why did you choose to work with us before other equivalent recommendation tools? I haven’t seen anything like it before and we got a very good contact with the representative from aajoda that explained everything. We got a training on the spot and help with all of our specific requests with how our testimonials were to integrate on our website and on Facebook. The safety aspect. We asked our selves: ”what happens if this testimonial system disappears?” Am I able to use this tool in the long run or is it just a bubble? We didn’t want to loose all the work we’ve put down. After some good communication we got informed of how it will be handled in such a case. That got us feeling more safe. What was the most attractive thing about our company and tool according to you? The combination of contact and speed in the system. As soon as you create the testimonial it’s up in the right spot on the website. I think that’s fantastic. I’m working mostly with the desktop version since I personally like the convenience of it. I snap a photo and it’s out on the net. Which benefits and specific results have you seen by implementing aajodas solution? I had a customer that recently wrote a mail to me, after I had gathered his experience, saying: ”This system is totally fantastic”. It was probably an aha experience that you could do it this way. It’s not just him, but several people have in a short time expressed themselves via telephone: ”this is really cool”. The response is appreciated. The effect of having this kind of monitoring system that is shown on our website and in social media gives a surplus for our customers that also feel involved on a whole new level. An extra plus to the exciting reminder system that was good, adapted to the customer and is run automatically.